Kal's Plumbing is a 2nd generation family-owned plumbing company. 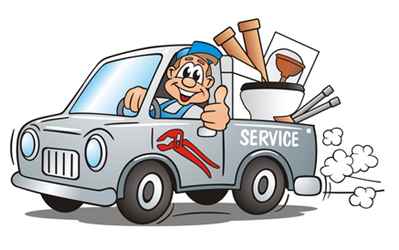 Kal's Plumbing was founded in 1965 by Ed "Kal" Kaliszewski. He built a reputation for expert plumbing service and repairs in the Northwest Suburbs of the Twin Cities for over 45 years. His experience and knowledge has now been handed down to his Rick (Kal Jr.), who now runs the company. Rick has been a Master Plumber for 25 years. Kal's Plumbing has the highest ratings at the Better Business Bureau and Angie's List. Plus, he has a Super Service Award and the Highest Rating for Value & Quality from Twin Cities Consumer CheckBook Magazine. When you hire Kal to install your water softener system, he will perform all the important steps, including accurately routing the discharge line to a floor drain or to a laundry tub with the proper air-gap per your local plumbing code. Unlike many other companies that will send out a technician to put in your system, when you choose Kal's, you can be confident that your system will be installed correctly as Kal is a Master Plumber and not just a technician. Because of the extreme hard water we have in our part of the Twin Cities, Kal believes that the Clack Mellennium softener is the best choice for local homeowners and it is the only type he will install. Kal's offers a five-year warranty on all parts and a one-year warranty on labor when he puts in a Clack Mellennium system.